I read this article about how to get your kids to eat their vegetables, which we all know can be quite a challenge. The Danish board of Health recommends 600 grams of fruit and greens every day, but only a tenth of the Danish children meet the standard. Pretty scary. The authors stated that it’s easier to learn to like the taste of vegetables before the age 12 month due to the fact that 1-year old babies are far more skeptical about new foods and are strongly influenced by their parents’ habits. Next you need to expose the child to a new food item at least ten times before you throw in the towel. So that sounds pretty easy right? Well not in this house, but we discovered one thing that helps move things along. Apparently it’s way more fun to eat broccoli with a forklift-fork and an excavator-spoon. Now some will probably think that this method is bad, but actually children will have more desire to eat, if they are allowed to touch and play with their food. The dogs certainly likes this approach. 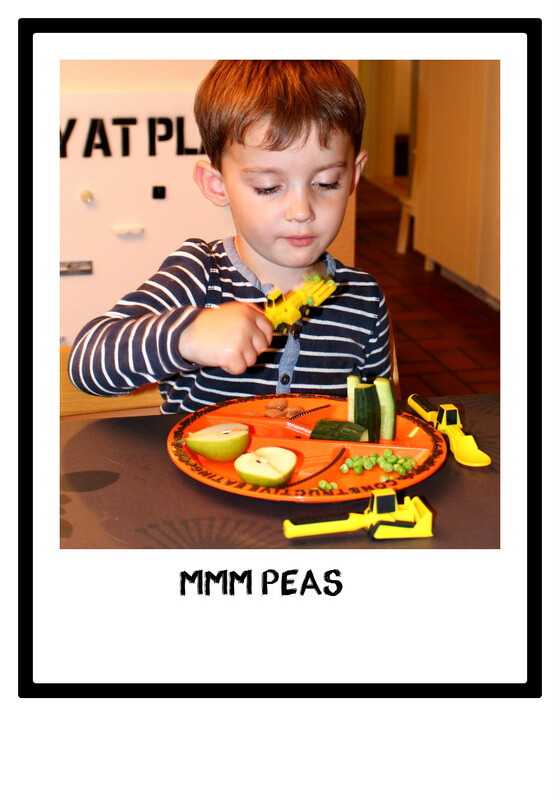 How do you get your kids to eat their greens?